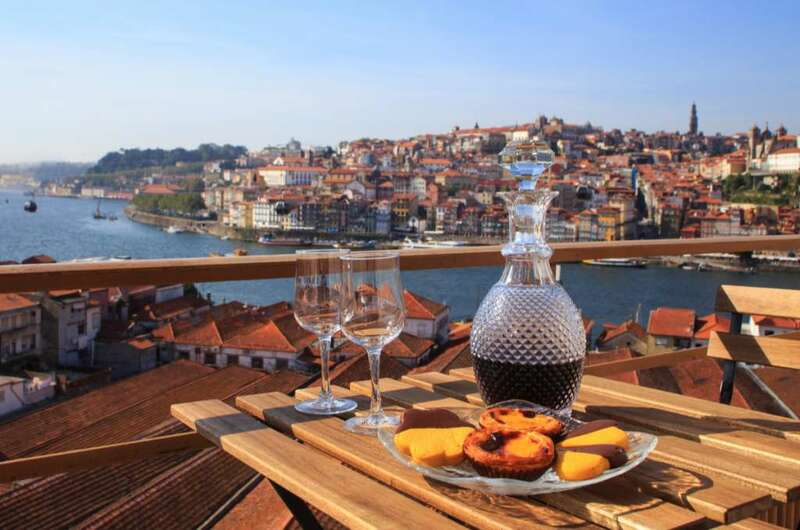 Spend a few lazy days on the Douro – glass in hand – and you’ll see the very best of this beautiful country. Port and I have a somewhat one-sided relationship. I love its texture and sweet but tangy taste; it returns the compliment by giving me a red nose. But no matter – an invitation to the naming of a brand new riverboat on the Douro, supplier of this wonderful drink to the world, had to be accepted. That’s how I found myself, with a hundred others, perched on a river bank while two priests intoned blessings in French and German, and a bottle smashed against the bow of CroisiEurope’s MS Miguel Torga. Slightly disappointingly, it wasn’t a bottle of port, but I expect that would have stripped the paint. The three-deck, 262ft Miguel Torga (he was a Portuguese poet and not, as I had assumed, an explorer) accommodates 132 passengers in 66 double cabins. Fitted out in light wood, these are all comfortable and stylishly modern, with power showers and flat-screen TVs that retract into the ceiling. The large double beds (easily converted into substantial twins) face the tall windows, so you can recline with a full view of the passing scenery. It’s a nice touch, though of course it means the passing scenery has a full view of you too. 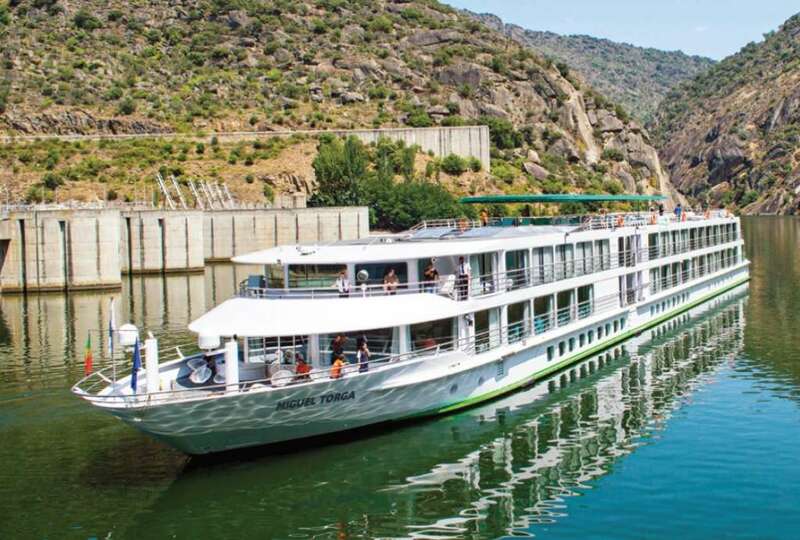 While CroisiEurope may not be a well-known name in the UK, the company is a major player in the world’s river cruising market, operating 50 ships and hotel barges on three continents. Not only are Europe’s rivers fully served, with five vessels on the Douro alone, but the company offers exotic explorations of the Zambezi and the Mekong. So where has it been all my life? In France, mainly, and slowly expanding, according to Lucas Schmitter, grandson of the fi rm’s founder and now its commercial director. Based in Strasbourg, CroisiEurope welcomes 210,000 passengers a year, half of them French. The British contingent currently stands at a mere 15,000, but that’s something the company is determined to change. Table with view a wonderful view over the river in Porto, Portugal. Just as I knew little of my hosts before this trip, I also had only the haziest notions of the Douro Valley. And I suspect I am not alone. In the UK we are so enamoured of the fairytale turrets of the upper Rhine, the famous vineyards and Roman heritage of the Rhone, and the glorious cities of the Danube, that we overlook the apparently modest Douro. Well, we shouldn’t. 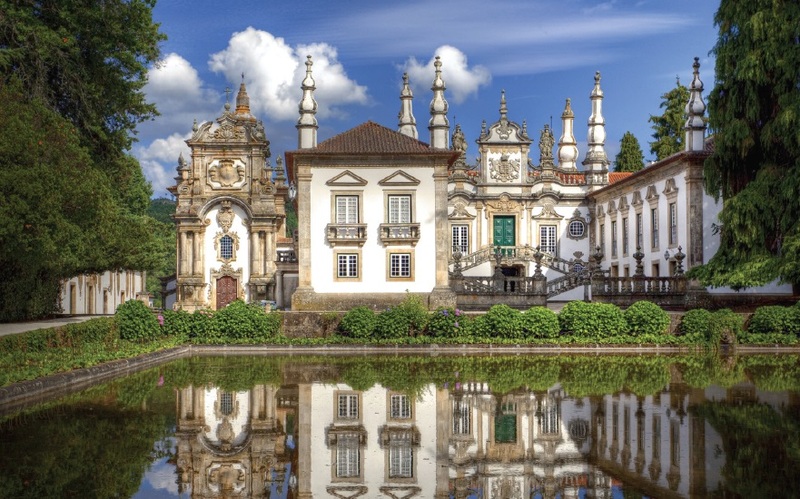 While it may lack picture-postcard towns and castles, it has vineyards aplenty – all contributing to Portugal’s gift to the world – and other merits that those rival rivers just can’t match. 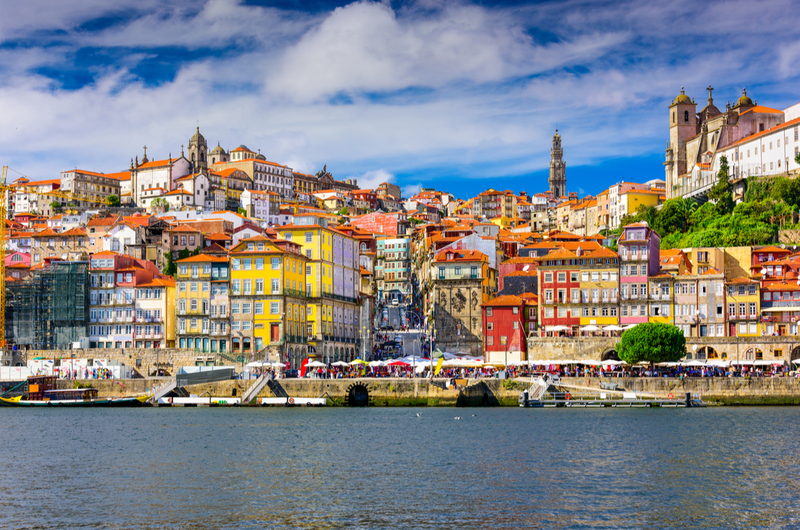 For much of its length – one long UNESCO world heritage site – the Douro flows through verdant gorges where forests of willow, birch and pine ascend to giddying peaks. And unlike the Rhine or the Rhone, the Douro is unspoiled by the clamour of roads and railways along its banks. Despite the five huge dams and locks that control the flow – and without which rapids, cataracts and waterfalls would make passage impossible – the Douro retains the appearance of a river untamed by man. It is spectacularly beautiful. Miguel Torga offers eight-day cruises from Porto, at the mouth of the river, all the way up to Barca d’Alva on the Spanish border. Sadly, I had time only to reach Segua, barely half the length, but that was quite enough to leave me smitten. On the second morning, we awoke to a thick mist, great clinging curtains of the stuff, through which nothing could be seen but the ripples spreading out from the bow over the placid water. But within the hour, the warming sun had driven away the last wisps of fog to reveal a green vision of quiet perfection. Miguel Torga offers a selection of shore excursions, and I chose two. One to the Mateus Palace made famous by the labels on a billion bottles of rosé (I’m a sucker for celebrity), and the other to the Ferreira port cellars in Porto itself, a dank but fascinating tour enhanced by a complimentary glassful at the end. Oddly, shore excursions are offered to British guests as optional extras, whereas for the Americans they are included in the price. The company contends that Britons are explorers in the Victorian tradition who want to strike out on their own (perhaps they assume that Americans, pining for life on the prairies, prefer herds). But much else is included for everyone, including wines, spirits and aperitifs (except for a few premium brands) and all meals. The dining room, a light and airy affair spanning the width of the vessel, offers a fair selection at the buffet breakfast, although the emphasis naturally is on the continental type rather than full English. Lunch and dinner are served by very friendly and obliging staff. The cooking is very French and very good, but it is a set menu each day with no choice, though special requests can be made with a day’s notice. It’s an understandable limitation, given the restricted galley space on a river boat, though other lines overcome it by having certain simple items – such as grilled chicken – always available. Several other omissions may upset those more accustomed to oceangoing facilities. Although Miguel Torga has the customary large top deck from which passengers can view the passing scene from a sun lounger, and boasts a fair-sized pool, there is no gym and no spa. Again, this is it the norm on river boats, as is somewhat limited entertainment. to my cabin, other guests thoroughly enjoyed it, even gyrating along with the locals. And the funny thing is, they hadn’t even finished their port.